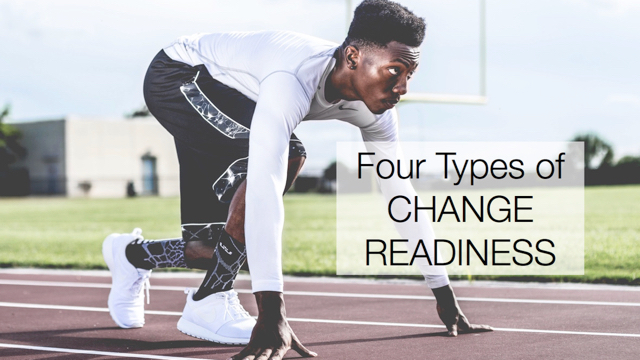 As you embark on implementing a change in your organization, it’s important to identify who will be impacted – not just those who are the primary targets of the change, but others in your organization who are impacted by or who have an impact on the change. There may be many individuals or groups who may not be obvious stakeholders in your project whom you need to address and influence. If you don’t, your change initiative may create some unexpected collateral damage. Do the Work – Who are the ones who most need to change the way they work in order for the change to happen? Use the Outputs – Who uses the outputs of the work that is changing? Are Affected by the Outcome – Who will be affected if you achieve the desired outcome of the change? Who will be affected if you don’t? Provide the Inputs – Who supplies those who do the work with something that will affect the ability to change? Manage the Work – Who are the ones who have authority over the people and processes in the Primary Impact Zone? Fund the Work – Who has spending authority and can make decisions that affect the ability to implement the change? Regulate the Work – How do rules and regulations impact the ability to change, and who has the authority to apply or change the rules? Support the Work – Who else supports the work that will change? See the Work – Who will be impacted by what they see happening with this change? Do Similar Work – Who else in your organization does similar work and may feel uneasy or unfair when they see the changes? Identifying your stakeholders is an important first step in developing your approach to change. 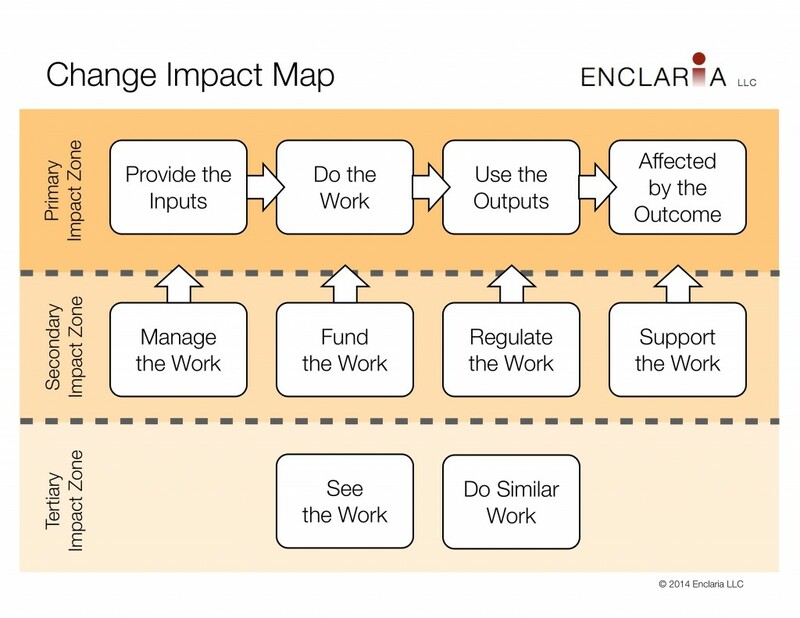 Use the Change Impact Map to help pinpoint those who will be affected by the change, those who will have an impact on the change, and those who will watch the change happen. Who else would you add to these three Change Impact Zones?